Type your Title and text content as usual. After clicking the " + " sign search for " File " as shown below. Remember to click on the File icon. 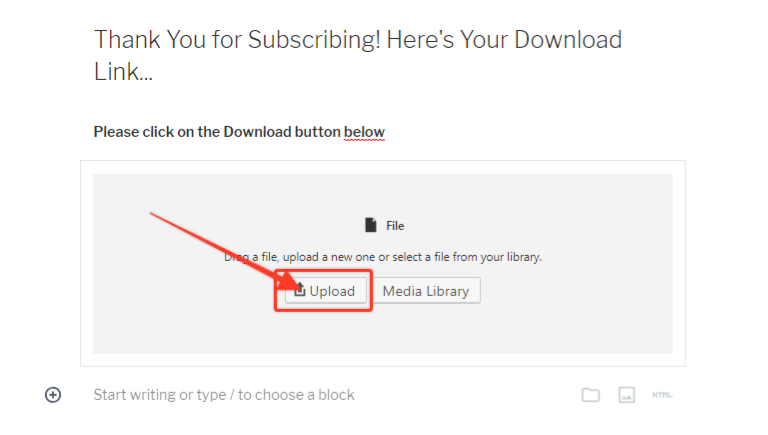 You have 2 options to choose: Either Upload a File or Using Media Library. In this example, I&apos;m going to upload the PDF from my computer. Click Show Block Settings. 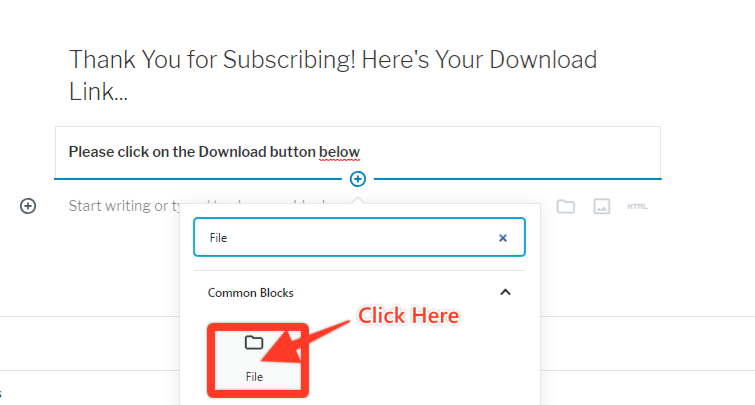 Make sure the your pdf file is linked to Media File and showing Download Button Settings as shown below. Now visit your blog again to confirm your PDF download link is working fine.